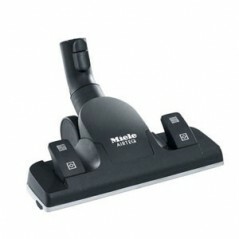 Miele STB 101 Mini Turbobrush 35mm Tool is a miniture version of the popular turbobrush floorhead. It features a swivel joint for easy use and can be attached to any Miele vacuum. Part No:7252850. Manufactured by Miele. The Miele STB101 Mini Turbobrush Tool makes a great addition to your Miele vacuum toolset. Being small in size, makes it nimble yet still extremely powerful. It is ideal for clearing dog and cat hairs, stairs and those awkward places around the home.